Well we've got seven or so threads concerning Fantasy models we'd like to see from Reaper, as Fantasy figures are their bread and butter. They're good at it. 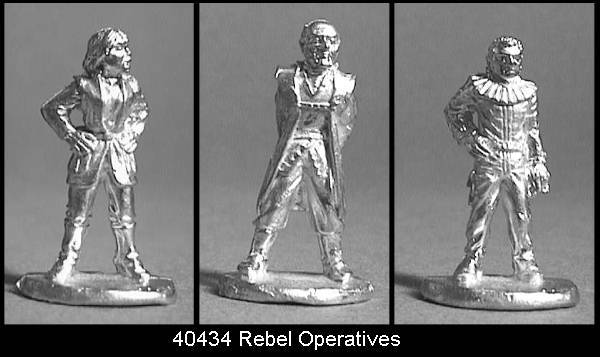 They are the Grenadier of the day, providing just about any model you could ever need for roleplaying, especially anything under the umbrella of Dungeons and Dragons. With the upcoming release of Reich of the Dead, it appears Reaper is branching out and providing us with a prepainted plastic Weird War II themed game, and some cool models to go with it. I'm hoping some of this direction will carry over into Reaper's line of metal models, and maybe we'll see some models that fall outside of the "D&D" paradigm. There are lots of smaller manufacturers out there producing Sci-Fi, Victorian/Martian Sci-Fi, Historicals, Post Apocalyptic, Horror, and so on. I don't expect Reaper to go whole hog and produce whole lines of Modern models, etc., but I thought a thread asking about some other ideas wouldn't hurt, even if it's not entirely feasible for Reaper, just to see what we'd all like. 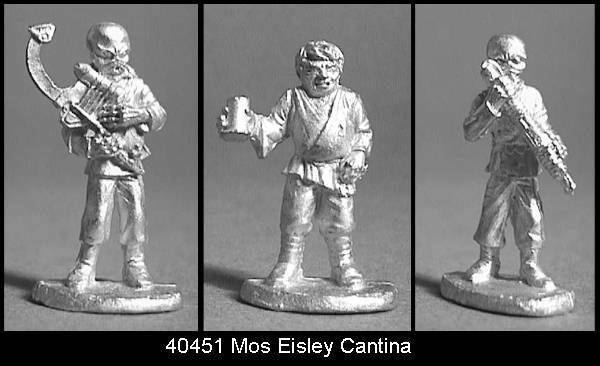 I'd like to see more modular minis, and parts to convert models from one genre to the other. As an example, I'm converting an entire box of GW Necromunda Redemptionist models with heads from Hordes, and Heresy's Flesh Golem, and with weapons from other lines to give them black powder flintlocks. They are going to be a weird science army for Savage Worlds. Would this modular approach having hands with weapons be feasible for Reaper? I end up buying enough parts from the Boneyard just to do this!! What else would you want to see from Reaper that isn't in their current business model? It's not a helpful answer to your question, but you don't seem shy about conversions. Therefore, I suggest it is possible to do plenty of Weird Science with Reaper miniatures. As for actual original non-fantasy models, I can't speak to that, sorry. Okay, but what would you like to see? Me, I'd be all for pirate fairies (which I'm sure don't have a lot of demand), buffaloes, people dressed in Elizabethan style clothing (but without weapons, kind of like court), more cowgirls, a motorcycle babe, crazy things like that. Well a few that come to mind are mutants, be they from radiation, or magical energy, or weird science or whatever. They could be used by players for WHFRP, any number of sci-fi games, or just for D&D. Models that have crossover would be a good start. Edit: Reaper'll determine the demand, I'm sure. Let's not worry about that as this is all just chat. I'd like to see a court set as well (Elizabethan or otherwise). I'd also like to see Victorian era figures and Pulp style figures. Sci-Fi figures would be a welcome addition. Just all sorts of figures from all different times. Reaper'll determine the demand, I'm sure. Let's not worry about that as this is all just chat. I'm guessing more character oriented models would sell in those genres. 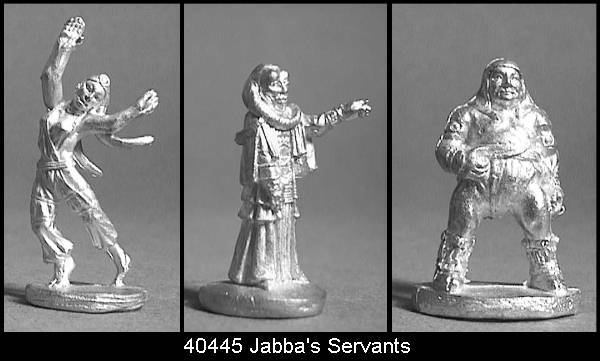 There are lots of historical minis out there, but a Reaper spin on a character from any historical period would rock. You're right on the money about the Vampire/Gothic thing: there are other manufacturers that have those, but they employ the same sculptors Reaper does!! Bobby Jackson rocked some great sculpts for Spinespur!! Smooth science fiction models- meaning leaning more towards Anime than Buck Rogers, but without outrageously huge weapons. Kinda like the Infinity line. Akira bikes? Unicycles? Hover bikes? I would buy several of each. I would like to see a line of modular WWII Science/Steam Punk/Tesla stuff. Picture a big ol brute, all muscular, wearing the pants and hat from a Nazi uniform, a ripped up shirt so it just looks like a vest. Along with the model you get a sprue of three different arms (left and right); maybe one with Tesla coils, one made of demonic looking stone, and a set with normal - you could mix and match and come up with some cool stuff. If you make the joints at the neck, waist, and arms rounded (similar to the Wolfen from Confrontation), you'd have a slew of different pose options. Sell accessories separate (just like weapon and accessories now) so you could put a big ol metal contraption sticking out of the chest, etc. My friends and I play the Rifts RPG and usually we all like to give our characters some cyborg enhancements so I would like to see some cyborgs everything from some full-conversion borgs, built in weapon arms, and just people with cyborg arms and legs. Also, maybe just some sprues of cyborg arms and legs to use for conversions would be nice. The cyborg idea is a banger. I'd like parts like these from Reaper too. I've bought parts from GW's Necromunda pit slaves to fit this idea, but I'd like some that have a steampunk feel to them too. There are a few settings that are pretty under represented in the miniature world. Even more there are some that you can rarely get in shops. Modern: Most of what is out there is either somewhat outdated or actually near future. It's not that you can't find anything that works but rather you can't find much variety. Shops, at least in the U.S., rarely cary any of the lines that do exist either. There are some smaller lines with some nice moderns but they don't have the weight of the Reaper lable. Western: I find it kinda ironic that all the good western lines come from England. Western is one of those genre like Pulp or Pirates where you can pretty much blur the lines between fantasy/historic and even throw in a dash of sci-fi. Space Opra: I don't know what else to call this. Star Wars is the most obvious. Futuristic spacemen with laser guns but not Retro style sci-fi. Is is just me or are all the popular futuristic lines full of people and aliens who carry big balistic weapons. I want laster guns or phasers or pulse rifles or blasters. Whatever you want to call them. Energy based weapon. Also form fitting power armor, jumpsuits, flightsuits, space suits, sensible but futuristic looking clothing. There are some lines that have the armor and clothing look right but then they are all armed with big honkin guns with big honkin banana clips. I want laser guns and flying cars not heavy machine guns and tanks that look like they belong at Verdun. I want figures without weapons. I'm getting so tired of painting swords and guns. 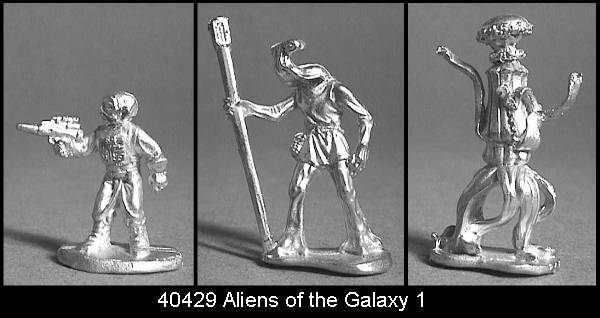 Infinity has a really wonderful line of Science Fiction minis. The trouble is, no one here can stock it. I suspect that Reaper can do some nice things with science fiction mini, and I hope this line sells well. I would like to see some nice Western minis outside of Black Scorpion (or some minis we can use for Firefly). Or some good 1920s gangster pulp characters. Really, there are dozens of directions this line can take. It almost sounds like a catch-all for minis that don't fit in D&D.